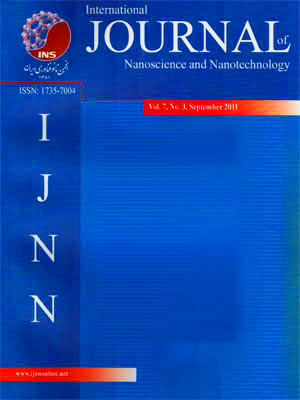 International Journal of Nanoscience and Nanotechnology (IJNN) is an open access multi-disciplinary peer-reviewed journal quarterly published by the Iranian Nano Society covering a wide range of scientific topics related to nanoscience and nanotechnology. IJNN aim to provide a platform for researchers around the world to share their latest findings in all fields of nanoscience and nanotechnology. IJNN publishes high quality original research papers, review papers, case reports and short communications and makes them accessible to the interested audience worldwide. Manuscript submission, processing and publication are free of charge and the editorial board reviews received manuscripts in the shortest possible interval of time for publication processing. IJNN has been authorized by the Iranian Ministry of Research, Science and Technology.